Hyungkyun Oh and Seongphil Hwang have been a formidable creative force at Cheil Worldwide in Korea since they teamed together in 2015. Hyungkyun is the most awarded creative individual in Korea having won over 130 creative awards in Korea and across the world, including 37 awards for the 2013 “Bridge of Life” campaign. In 2015, he teamed with Seong Phil, and together they continue to break convention and fight the norm through their ideas. Their latest work is the ‘Firevase’ campaign which won three metals (1 Gold & 2 Silver) at AdFest 2019. In the first of an occasional “Hot Creative Teams” column, Campaign Brief Asia spoke to Hyungkyun Oh and Seongphil Hwang on their career so far. Hyungkyun Oh: If you don’t mind, I would like to share my personal momentum. 10 years ago while I was working at Leo Burnett Korea, my mother was diagnosed with colorectal cancer. As we all know, work at creative agency never ends. There is nothing trifle, and paradoxically it’s the little things that count. So we are always up all night working. However, it was very difficult for me at that time to work lightly while leaving my mother alone who was back from a surgery. I couldn’t quit. I have moved to other companies so I could leave the office early. In the end, I have come to a conclusion that if I am going to spend my precious time, I should create something that directly helps people and saves their lives. Luckily, my mother has been holding up astoundingly well. Seongphil Hwang: I did not intend to work in ad industry from the beginning. After majoring in visual design at university, I loved communicating and interacting through visual images. So I’ve chosen the path of photographer after graduation. Photography was a fascinating media to deliver what I think and sense. Then one day, ten years ago, a senior at my school who works in creative agency named KORAD asked for my help on developing creative concept, so I went to his company carrying my photographs late at night. Few days later, I was asked for an interview from CCO. He proposed an art director position so I thought it over for a few days and took the job. Later I’ve moved over to MATE Agency, and finally joined Cheil Worldwide in 2011. “Firevase” is a unique but very simple global idea. How did they come up with the idea? Hyungkyun & Seongphil: There is wistfulness that the fire extinguisher could have been more beautiful aesthetically if it was in the form of our initial idea- a snow globe with firefighter’s figure in the middle. However, according to the Fire Services Act in Korea, it was impossible to create snow globe fire extinguisher that contains snow particles. 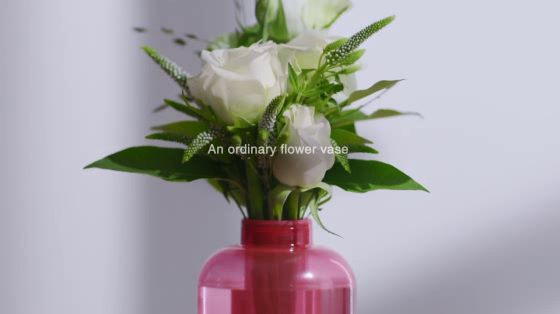 So it finally became a vase- one of the objects that are always close at hand. Being concerned about what would be necessary for people, and making observations with that in mind became our habit. That is how we came up with the idea of Firevase, a fire extinguisher that could be kept handy. It is difficult to ponder over something every day. Nevertheless, it is the only way as we are not geniuses. Both of us continue to fight, reconcile, and fight again. It is inevitable. What has been your individual career highlights so far? Which campaigns are you most proud of and tell me a bit about each campaign and the awards you have won? Hyungkyun: Every single one is precious. All the campaigns I have been involved in including the ongoing Samsung Fire & Marine Insurance’s “Firevase,” Uniqlo’s “Heat Tech Window,” and Burger King’s “Morning like a King” was painful but amusing. If I must pick one, “Bridge of Life” comes to mind. The campaign garnered 37 metals including Titanium Lion at 2013 Cannes Lions. Along the handrails of Mapo Bridge and Hangang Bridge, two notorious spots for suicide jumpers, we placed messages of hope using motion sensors that lit up as pedestrians walk by. The campaign not only won many awards, but also helped changing social perception and improving system for suicide prevention in Korea. Above all, even though I am not a doctor, being able to save precious lives as a creative gave me a sense of pride. However, as always, I hope the campaign that I will be creating from now on becomes my major work. Seongphil: My career highlights is always this moment. Although my past and future work is important, the work I’m doing now is most significant. All the campaigns are like my children, borne with pain. Every one of them is dear to me. More than being proud of my work, I am proud of always having people near me who see the possibility in my ideas and gives support and courage. If I were to choose one memorable campaign, it will be Uniqlo’s “Heat Tech Window” that won 34 metals at international award shows including 2017 Cannes Lions, Clio, D&AD and LIA. When heating cost was hot issue in Korea, the campaign simply but superbly connected the function of bubble wrap that helps raise room temperature when applied to a window with Uniqlo’s thermal wear brand Heat Tech. As the campaign launched, people began applying Heat Tech Window posters to their windows at home. The windows had turned into new advertising media. Creatives always think over how to effectively deliver ads to consumers. In this case, the ad was not inserted in a channel that consumers like to watch, but immersed into their homes. Two years have passed, but it is pleasing to see houses that still have Heat Tech Window posters on their windows. What are your views on the level of creativity in the Korean advertising industry in general? And what is your advice to any young creatives starting their career that want to win awards on the global stage? Hyungkyun & Seongphil: Korean consumers are very smart and show rapid change. Korean market taking the center stage as testbeds for not only Asia but also global markets is its proof. The level of strategy and creativity of agencies in Korea must be set high in order to respond to these consumers. 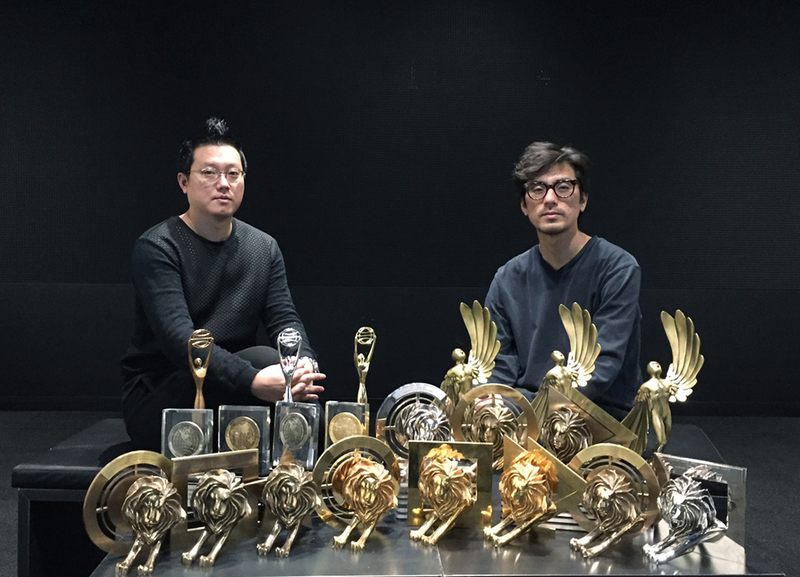 With Cheil Worldwide at the forefront, global creative accolades received by Korean agencies have increased both in volume and quality during last ten years. Looks like the time coincides with our working period! However, wins at global award shows do not represent the overall level of creativity. The cultural difference and limits in global spreading of contents made in non-English speaking countries would affect. Creatives in Korea are creating great ads that help boost sales, change consumer perception and trigger behaviour as we speak even though they did not get the spotlight at award shows. Our advice to young creatives who dream of winning awards on the global stage leads to what we just said. We ask of you to think about the obvious proposition that when you create good ads you can win accolades instead of thinking good ads are the ones that win accolades. Good luck to all our partners working in ad industry. Want to take part in our “Hot Creative Teams” interviews? Email kim@campaignbrief.com for details. Good to see a bit more exposure/information on the Korean ad scene. These guys are obviously very talented. Good luck to them.